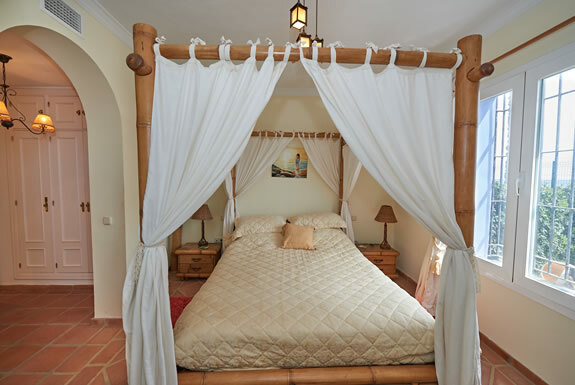 La Perla Beach Oceana is set in a colourful development that reflects the mixture of Spanish and Moorish influences of the region. 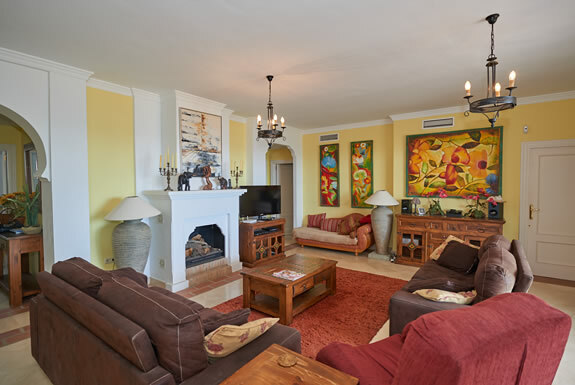 La Perla Beach Oceana is a 3-bedroom ground floor apartment on a beautiful stretch of natural beach offering superb uninterrupted views across the Mediterranean. 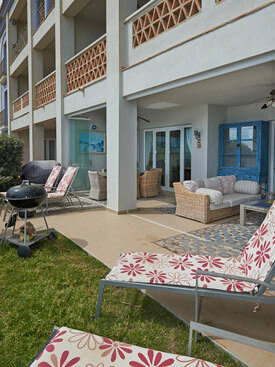 La Perla Beach Oceana offers direct access to the uncrowded beach just outside your private gated terrace. 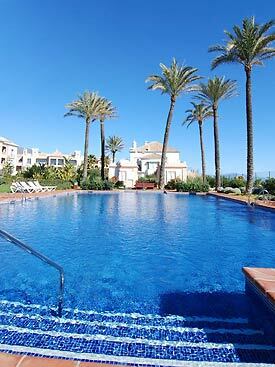 The inviting pool is set in exotic gardens overlooking the Mediterranean. 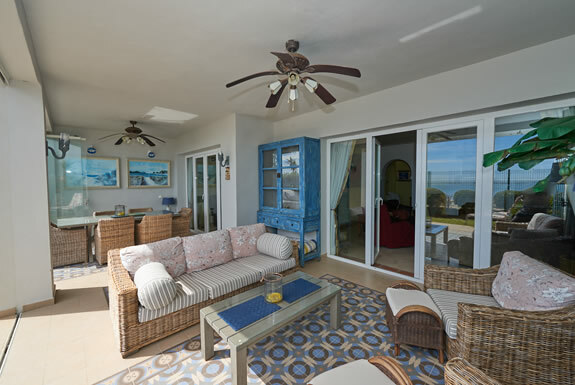 There is also a children's pool making this the perfect family getaway. 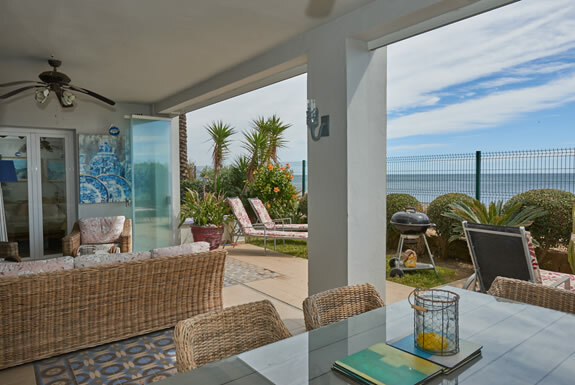 Located between Sabinillas and Estepona town - both with long sandy beaches and a promenade peppered with restaurants to choose from. 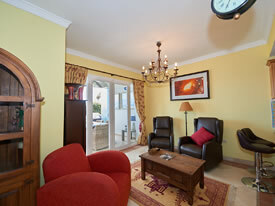 La Perla Beach Oceana an idyllic family getaway for those looking for something a little bit special. 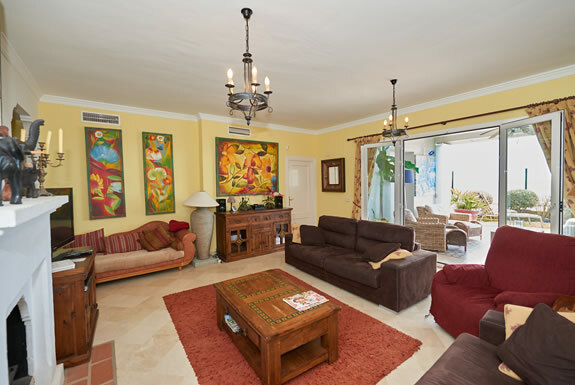 La Perla beach has a light and spacious feel about it with an open-plan lounge, dining room and kitchen. 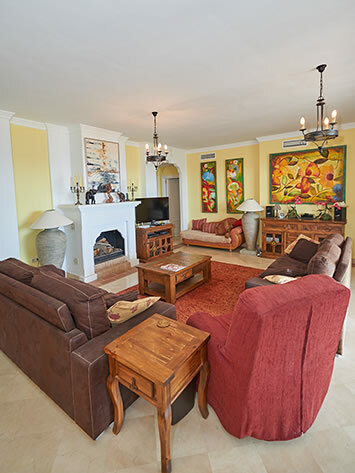 The apartment has been tastefully and elegantly furnished to an exceptional standard, with hand painted tiles in the kitchen, built-in lazy susan in the dining table, beautiful tiled floors and marble bathrooms. 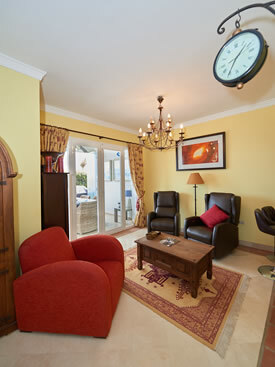 In the lounge there is a 32"inch flat screen TV with SKY, IPTV and a DVD player and an i-pod docking station. 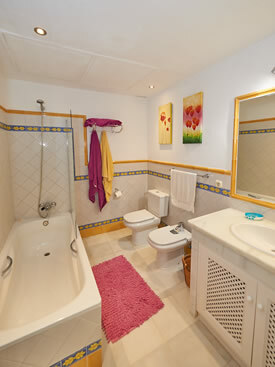 Near the front door you will find the separate wc. 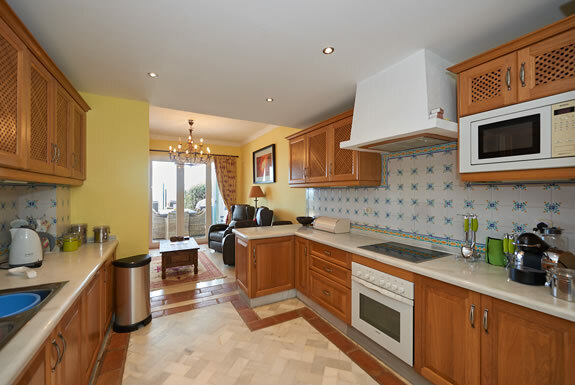 The kitchen is well equipped and is complete with electric ceramic hobs (stove tops) and electric oven, twin sinks, microwave, large fridge & freezer, dishwasher, coffee maker etc. 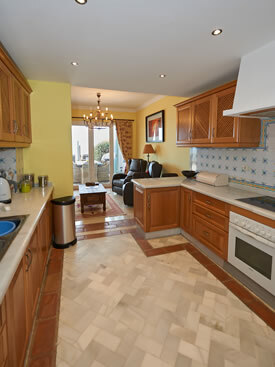 To the back of the kitchen is a separate laundry room with a washing machine & dryer. 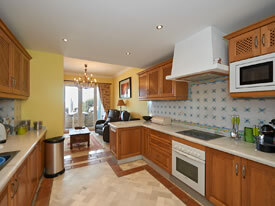 In the kitchen you will also find the intercom system for the entrance gate. 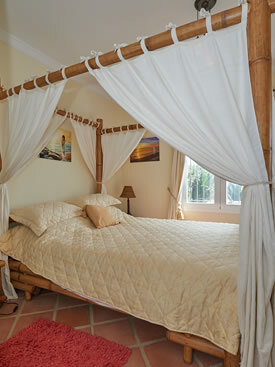 The master bedroom has a beautiful bamboo four-poster bed. 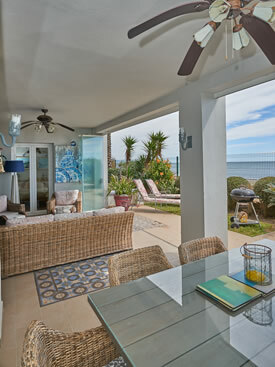 This room enjoys views of the coast and benefits from direct access to the front terrace. 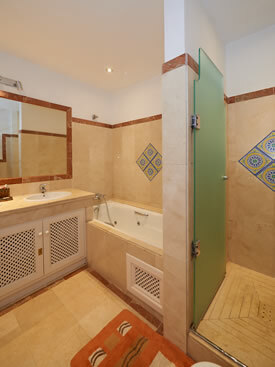 The en suite bathroom has double sinks, a spa bath and a separate walk-in shower, wc and bidet. 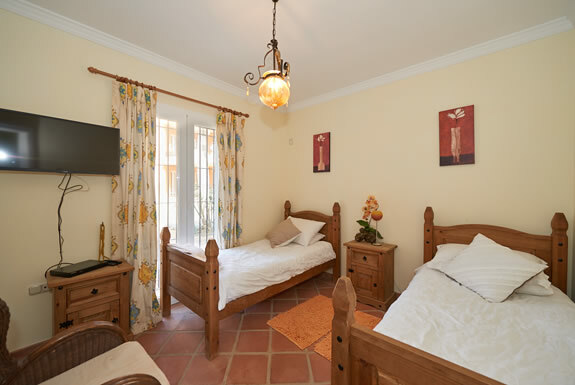 The twin bedrooms overlook the gardens to the rear of the property and both of the twins benefits from a TV with DVD-player. 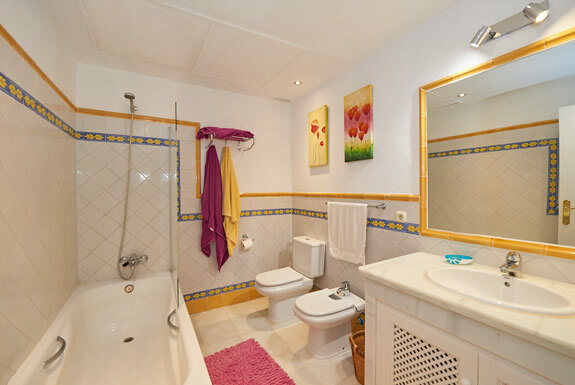 These two rooms share a bathroom with a shower over the bath, wc and bidet. 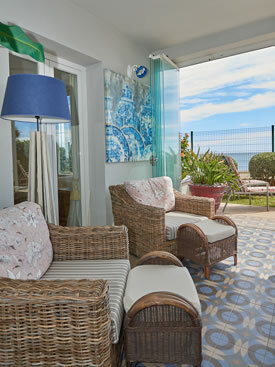 Taking time to enjoy the Andalucian sunshine whilst savouring a leisurely lunch is very much part of the lifestyle in Spain - the shaded terrace with dining table & BBQ overlooks the blue waters of the Mediterranean ... a perfect place to share a glass or two of Rioja with your friends and family. 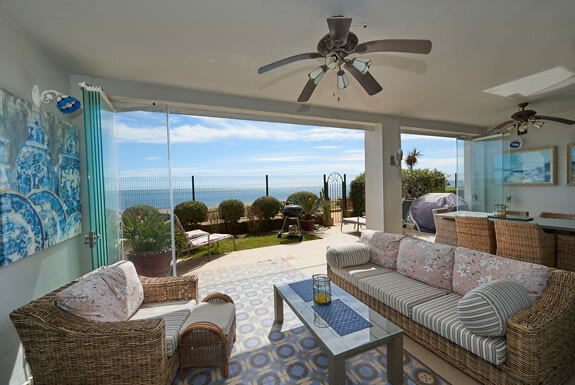 This terrace benefits from glass curtains so it can be enjoyed all year round. 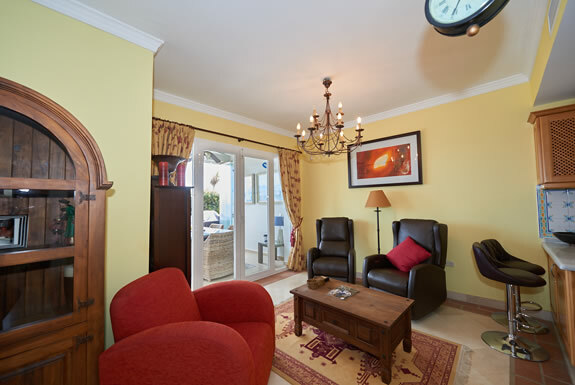 With comfortable sun loungers and outdoor sofa you can enjoy a good book, soak up some of the Spanish sun or put your feet up, go local, and enjoy a Siesta in the shade. 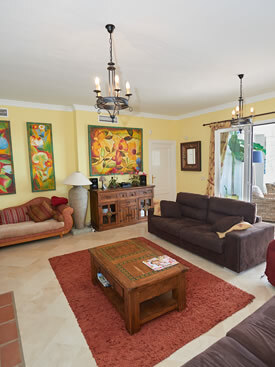 Surrounded by tropical gardens and overlooking the Mediterranean are two large swimming pools to cool off in. 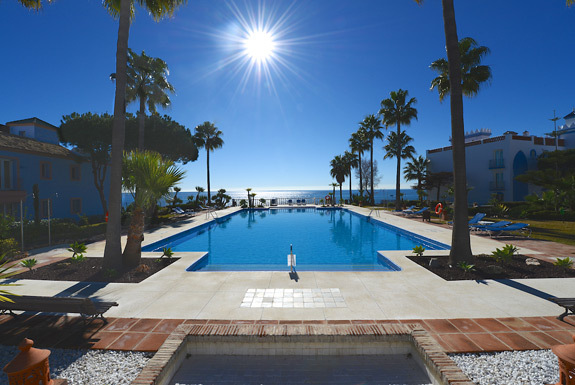 The larger of the two pools boasts a separate shallow pool for small children. 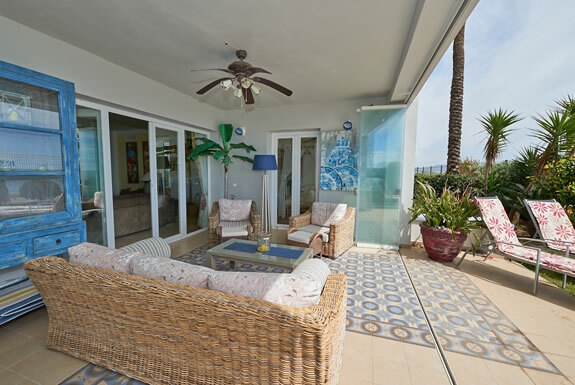 There are ample sun beds and shade ... perfect to read a book or just daydream whilst enjoying the views across the Mediterranean. 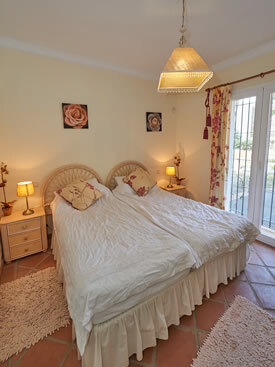 The much loved and well-tended Mediterranean gardens have plenty of space for children to play. Enjoy an early evening stroll down the beach and paddle in the warm waters of the Mediterranean. Then why not enjoy a cocktail in a beach bar whilst watching the sun go down. 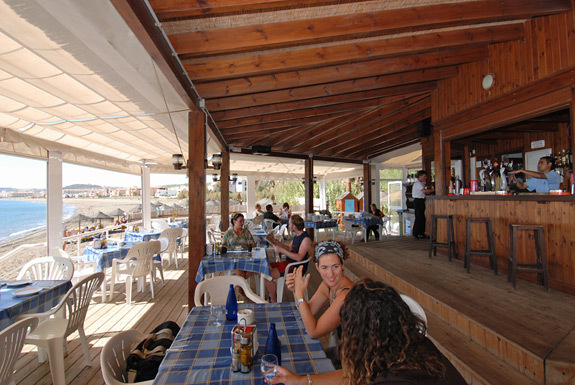 At La Perla Beach there are two beach bars to choose from: La Perla cafe & restaurant offers a selection of appetising meals and snacks and La Sal which is very popular with the locals ... fresh fish, paella & sangria! 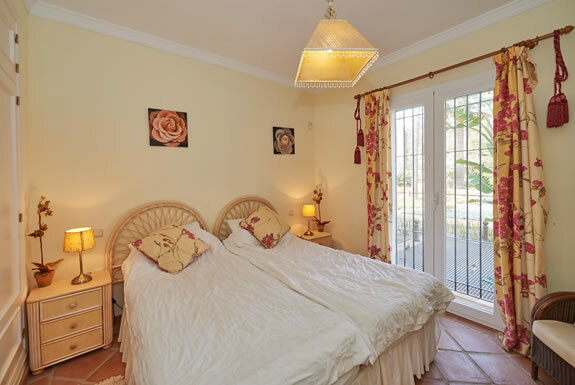 Within a couple of minutes drive (or a lovely beach walk) is the town of Sabinillas with a picturesque promenade and a selection of restaurants. 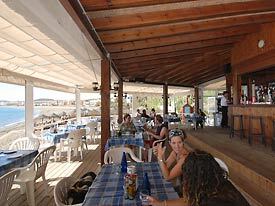 The pretty port at La Duquesa is only a few minutes drive and also has a large variety of restaurants, cafes and bars. 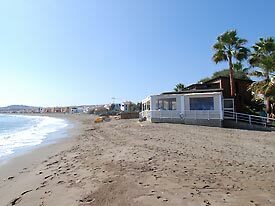 I have just realized that I did not send you an email to thank you for the excellent infrastructure and wonderful area at La Perla Beach. We really enjoyed our holiday, it was fantastic. We wish to come back again next July. I will contact you then."